• 5:00 – 5:30 p.m. on Litchfield Ave between 2nd St SW & 4th St SW.
• Children must be registered by 5:30 p.m. to be included in the judging. • Parade begins at 6:00 p.m.
• Parade route: Starting between 2nd St & 4th St on Litchfield Avenue. 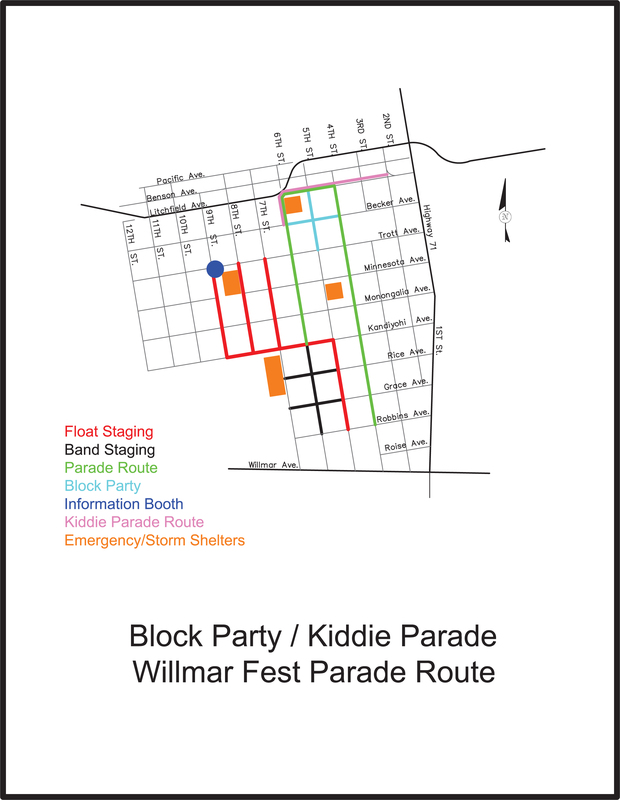 The parade will travel Litchfield Avenue West to 6th Street, South to Becker Avenue. • Immediately following the parade, parents to pick up children at the corner of 6th Street & Becker Avenue. • Entrants must be age 12 and under. • No motorized vehicles unless driven by an adult. • Sponsored by Bremer Bank and the Y.